Jay Bothroyd’s 76th minute goal earned Queens Park Rangers their third win of the season on Harry Redknapp’s birthday. Queens Park Rangers still remain at the bottom of the Premier League table but have found new hope that they can survive the battle against relegation. While for a disappointed Southampton this was a poor result, it is also one which keeps them in the battle to avoid the drop just three points from safety. Southampton’s main changes to their team was the addition of Fonte and Fox to boost their defense after their 4-2 defeat against Newcastle United just last week. 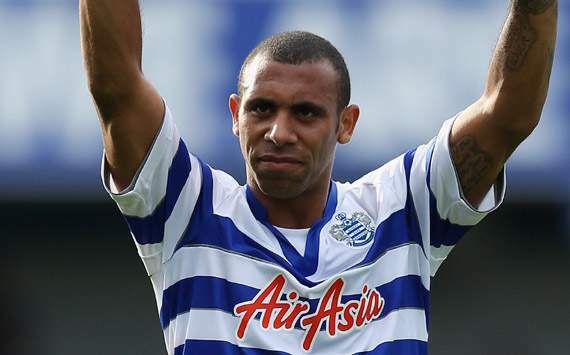 Meanwhile QPR’s changes of players included Remy, Hoilett, and Bothroyd for the injured Bobby Zamora. Redknapp was greeted with the sound of boo’s from the home team supporters as Harry was the Southampton manager when they were relegated in 2005, before leaving to join their hated rivals Portsmouth just a few months later. Meanwhile, on the other end of the pitch, QPR fans got behind the new changes of the squad as well as Harry, and wished him a very happy 66th birthday. Redknapp had suggested last week in a interview that he needed to give Junior Hoilett more of a chance as he has been out with an injury for a while, and the Canadian winger rewarded his managers faith in him by withdrawing a lovely diagonal ball from the left wing into the path of Loic Rémy. Artur Boruc’s positioning gave him a sizable portion of the goal to aim at and Rémy’s clipped shot beat the goalkeeper as well as defender Fox on the line who was covering him. It was the Frenchman’s second goal for Queens Park Rangers since the £8m move from Marseille in the January transfer window. Rémy could have added an another to his goal tally shortly afterwards, testing Boruc from the edge of the his area, and Southampton appeared to lack the fight and urgency which helped them beat Manchester City at St Mary’s three weeks ago. Even though QPR seemed to be on top of their game, yet again they shot themselves in the foot in first-half stoppage time. Jay Rodriguez had only just replaced the injured Adam Lallana when he fired away for Southampton’s first shot on target, shooting straight at Brazilian goalkeeper Julio César from 25 yards out. It should have been a comfortable save for the QPR goalkeeper, but the ball bounced off his chest and hands, which led to Gaston Ramirez, who pounced on to the split ball to dunk the rebound into the net. The second half started well for both teams as they reacted quickly to when Rodriguez cut inside from the left and curled a beautiful shot just over the bar. Also, Jose Fonte’s long range drive from 25 yards out just about brushed the side-netting. At the other end of the stadium, Nathaniel Clyne’s block denied Hoilett a shot on goal. Both goalkeepers where quiet for a while until half way through the second half, when Julio César was knocked out of his stride after a collision with Rodriguez after the Brazilian had spilled yet another simple shot to save. This collision caused Redknapp to make a change bringing on English international Robert Green a rare cap for Queens Park Rangers. Both teams where trying very hard to win all three points but QPR came out on top as Southampton’s attacks were far too sluggish. With 13 minutes left, their lack of creativity surely punished them. Yoshida was too weak after a challenge with Park Ji-Sung on the right wing, and the QPR midfielder wriggled to the wireline before firing a killer cross into the six-yard box, where Bothroyd could hardly miss, even on a bad day. Queens Park Rangers fans helped boost the players confidence, getting behind the newly named squad, manager and owner, which put Southampton under a lot of pressure ever time they they got the ball. This helped QPR keep the most needed win even, though Southampton had thought they had equalized again when Fonte powered a header from a corner, only for Robert Green to somehow claw the ball away to make sure they keep the lead. This win was definitely a huge boost for QPR.